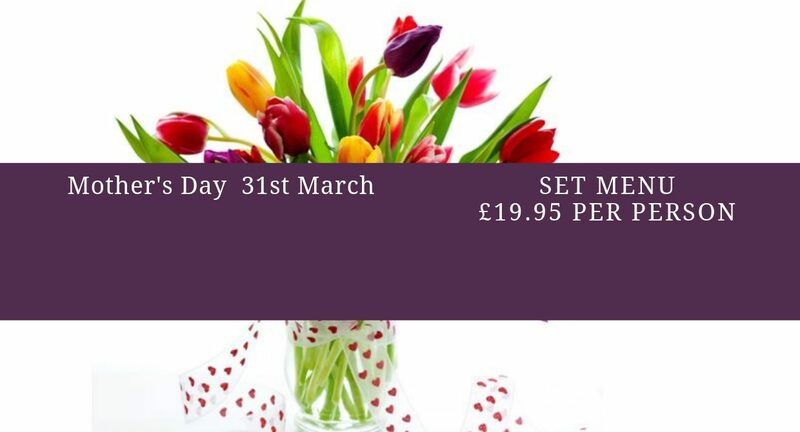 We’re pleased to offer the following Set Menu for Mothering Sunday on 31st March. Just £19.95 per person to include a glass of Bucks Fizz on arrival and a gift for Mums, plus a 4-course home-cooked, set menu. To book please call 01455 553307 or email us. Please advise us at time of booking of any dietary requirements.